IQ Magazine Artilce About Wallis & Son's History. We talk to Elliot Wallis, Director at Wallis & Son about their history as a successful family-run business and their upcoming 80th anniversary. Tell us a little more about Wallis & Son. Wallis and Son was started back in 1937 by my Grandfather, Geoffrey Valentine Wallis and his Dad, my Great Grandad, Percy Valentine Wallis. They started selling cars and bikes in and around the Cambridge area and opened a garage called Cresswello in the 1930‘s. They soon moved on to open other garages and businesses in Cambridge and Newmarket. 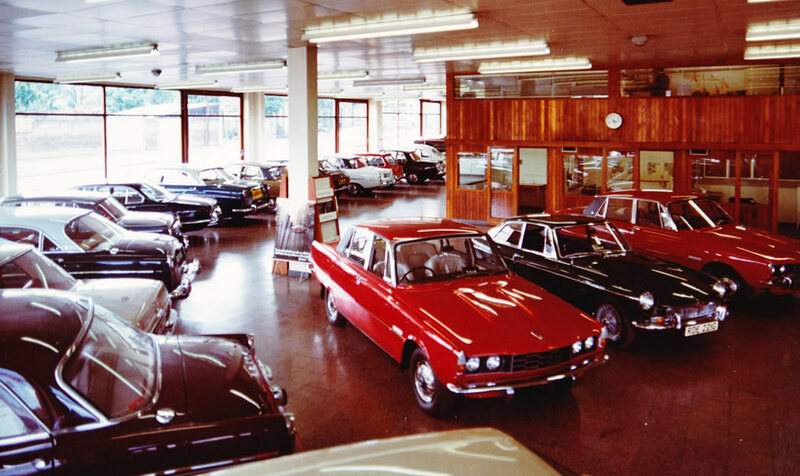 We had many dealerships over the years including Rolls Royce, Jaguar, Lancia, Rover and Land Rover to name a few. In the 1970’s my Dad, Nigel Wallis joined the business after my Grandparents lost their other son, Robert. Nigel Wallis was training to do Law in Reading and was told by Geoffrey Wallis that he was now needed to run the business after the loss of Robert and had to come back to Cambridge to run the Newmarket dealership after a period of running our large Cambridge site at Chesterton Road. 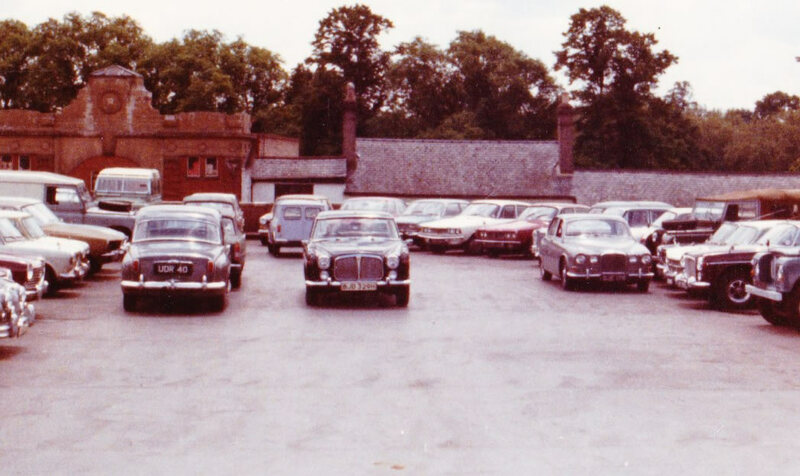 Nigel Wallis ran the Newmarket Rover dealership on his own from the age of 24 until he was 30, when we moved to the current site in 1984. This move was at a point when Geoffrey Wallis was looking to retire and take up his hobbies of flying and sailing. He left Nigel to run the business in Barton. They therefore decided to build a purpose built site here for the dealership to grow. by Nigel and Geoffrey and is still the same building and design as it was then. It has grown a great deal over the past 30 years. I joined Dad in 1999 after a period at University doing a marketing and business degree at Oxford Brookes and 18 months with the Marshall Motor Group. Since joining, we have now grown in to what you see today. We have a sales department for prestige cars as we have done since 1984 when we left the manufactures and started selling BMW and Mercedes in Cambridge. This remains but we have many more brands and cars as well as a service department which caters for the local cars in the village all the way to our customers who have some of the top brands. We also now have a vehicle hire department from vans and cars to Bentleys, Astons and Prestige 4x4s, like Land Rovers, not forgetting our wedding cars company Cambridge Wedding cars. We also have the petrol station and shop that’s been with us since 1998 when my mum Richelle Wallis joined the company to run our unique shop specialising in American stock. Today we are still a true family business with my wife Hannah Wallis undertaking all of our HR and HSE. Wallis and Son is now run by the fourth generation and we have plans to carry on for many more years with my daughter Jessica Wallis already showing interest in cars at the age of 5. How have the dynamics of the business changed since 1937? We have reduced in size over the years mainly due to choices that Geoffrey made in selling certain sites back in the 1970’s. This was the selling of our prime site in Cambridge, Chesterton Road, however Nigel Wallis then decided to look at opening a fuel site in Barton with a large shop. We still have this shop today and it is a large part of what we do. I joined Dad in 2000 where we grew the workshop from 2 technicians to 12. We now have the sales business which went from 20/30 cars to over 100 cars. We also started the rental and wedding business in 2011 which are still growing year on year. Have there been any big milestones or changing factors along the way? A big milestone for us was when we sold the Newmarket site. At the time, we had the Rover dealership with British Leyland and following their trouble, we could no longer support the franchise. They went in to administration leaving us with a site that was no longer viable to trade from in a small town outside of Cambridge. 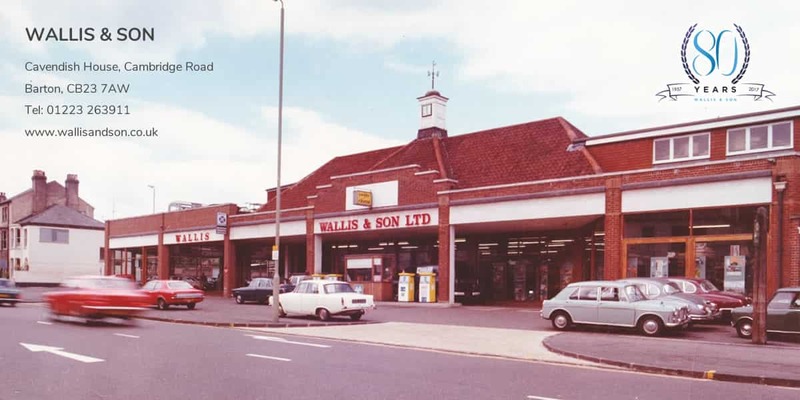 This is when Nigel Wallis decided he needed to look at taking the business to a new location where he could open up a petrol site and have a car sales business and repairs workshop. What do you think has been your biggest success? 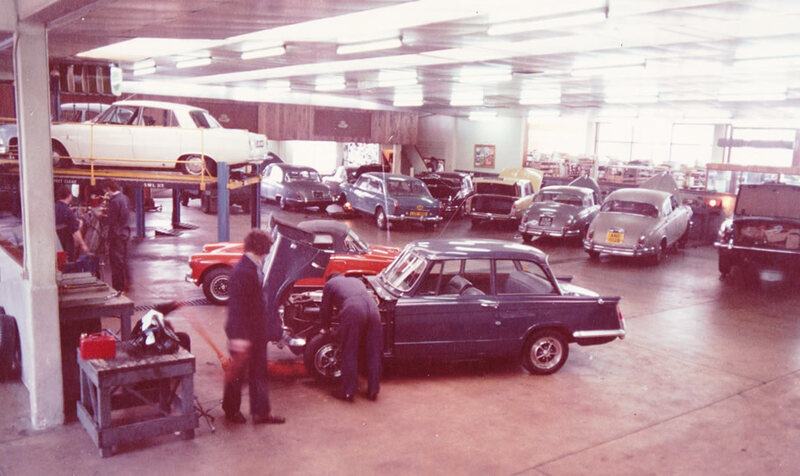 Our biggest success would have to be staying in business in the motoring industry for over 80 years. We’ve seen a number of recessions as well as the oil crisis in the 1970’s and 80’s. This meant people could not afford to run their cars as fuel prices were so high. It also meant they couldn’t afford to pay for repairs let alone think about buying new cars. 2008 also saw some large changes in the way the industry is run and we’ve not looked back since. Some of these changes include the introduction of the internet and our customers being able to buy online. My best advice would be to always push forward with new ideas and don’t stand still. Seize new opportunities and don’t let these pass you by. Take every opportunity as a way of growing your knowledge and experience. I would also suggest marketing your business to customers online. How are you celebrating your 80th anniversary? We are having a party at Quy Mill Hotel on the 16th of September for all of our staff both old and new. We have also invited a selection of our customers and key suppliers. It will give us a chance to remember the old days and also look to the future. It will be good to tell people we’ve been trading for so long and remind others we are still here! Alongside this, we are also branding the site, our cars and uniform with our 80 years logo. What is to come over the next 10/20 years for Wallis & Son? Our plan is to carry on growing the business. With the retirement of Nigel and Richelle Wallis and the revamp and the changes I have planned for the forecourt shop and petrol station, I would like to eventually have a modern site with all of the facilities available on show. This would include a bakery and a car wash to name just a few! One new site that I like is the one on Newmarket road with the Marks & Spencer store and BP fuel. This is something I would like to open one day as I think it would really compliment what we do, both in the workshop and for sales.